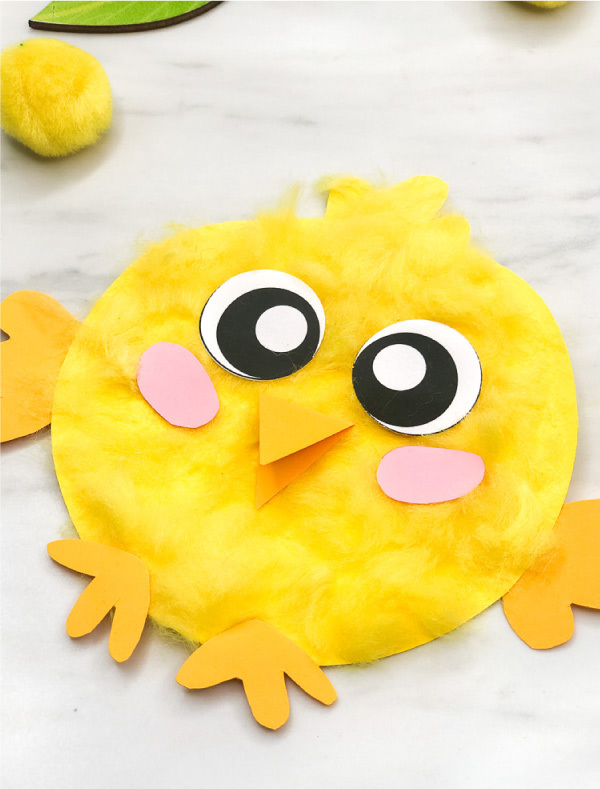 Inside: Make this adorable fluffy chick craft with the kids for spring time, Easter or when learning about farm animals! 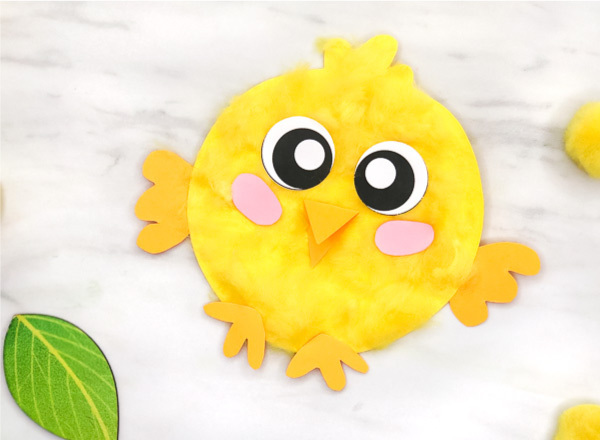 This week we’re sharing all our best spring crafts for kids! 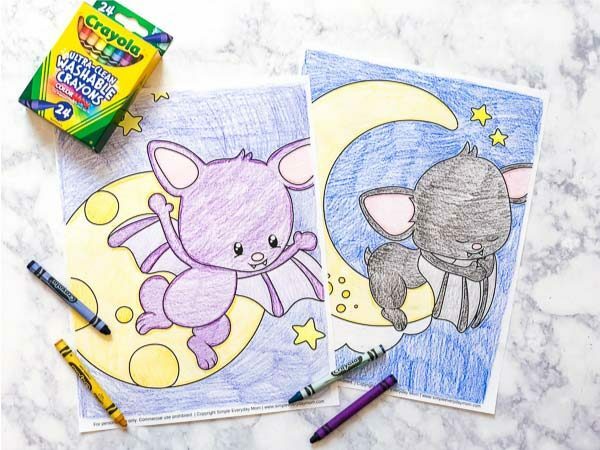 If you haven’t seen the past ones, you’ll want to check them out all our easy crafts for kids. 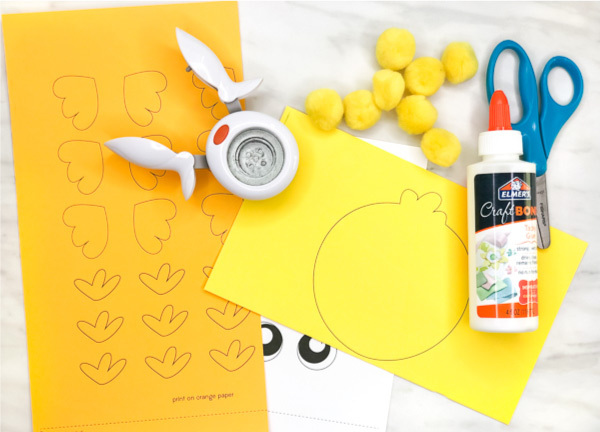 So far we’ve made this pom pom sheep craft, this cute handprint bunny craft, this handprint chicken craft and this peek a boo bunny Easter basket craft. They’re all simple and quick, so if you need more ideas, don’t forget to save them for later! 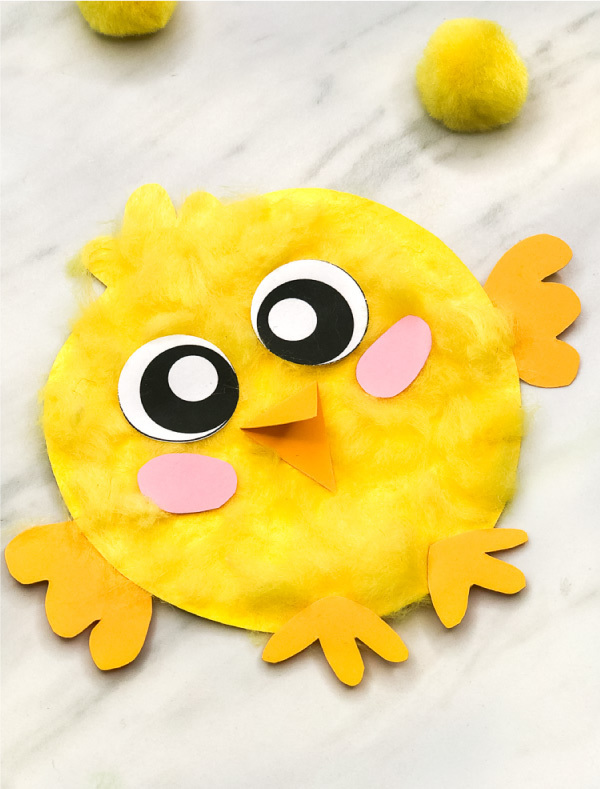 Today, we’re sharing this fluffy chick craft for kids. 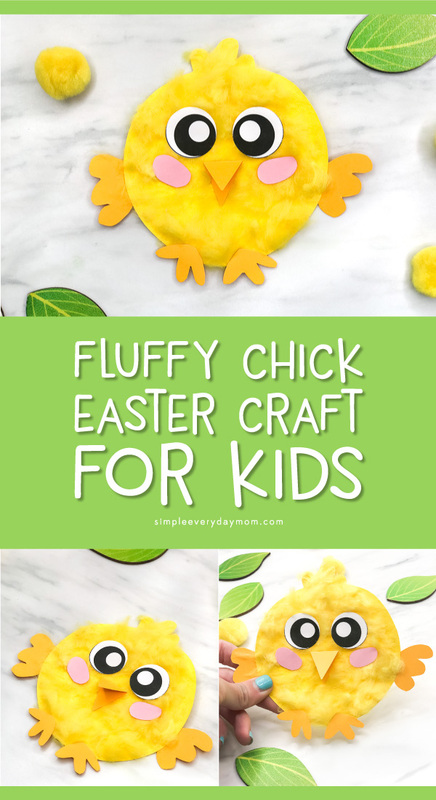 These are the perfect craft for doing in the classroom or at home for Easter or spring time in general. 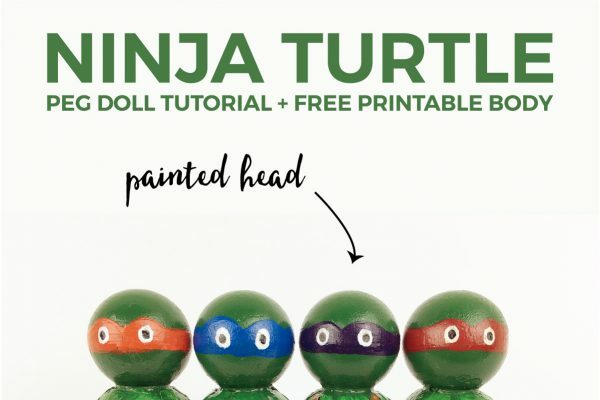 Read on below to see how quick they are to make! Download the chick template and print the pages on the colored card stock indicated on each page. Cut out all the pieces. Cut out two small ovals from the pink card stock for the chick’s cheeks. Fold a small piece of the golden yellow card stock in half and cut a triangle out, leaving the side folded in half in tact so it opens into a diamond. This will be the chick’s beak. Glue the wings to the back of the chick’s body. Cut 2 medium pom poms in half and fluff it out. Use the glue to cover the chicks body in a very thin layer of glue all over. Press a light layer of the yellow pom pom fluff all over the chick’s body. Let dry completely. Glue the eyes, beak and cheeks on, using the pictures as reference. Glue the two feet to the bottom the chick’s body. 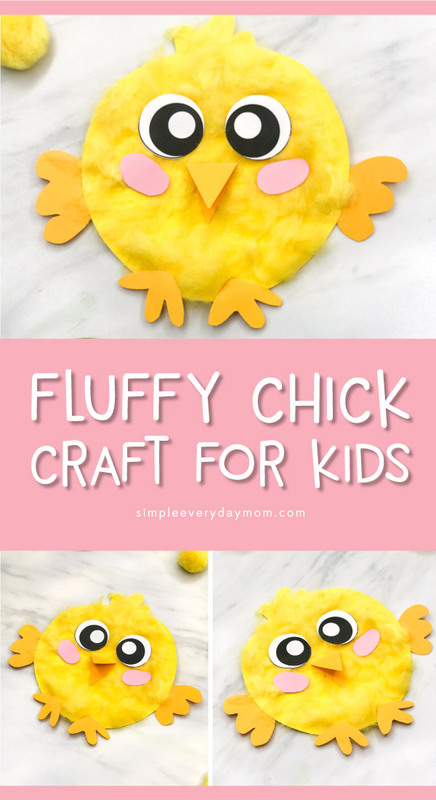 That’s all you have to do to make the fluffiest little chick! 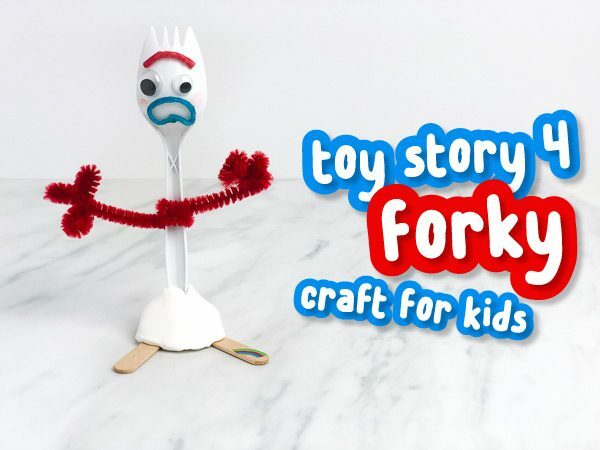 It’s a pretty simple craft, but one note is to make sure you go easy on the pom pom fluff. 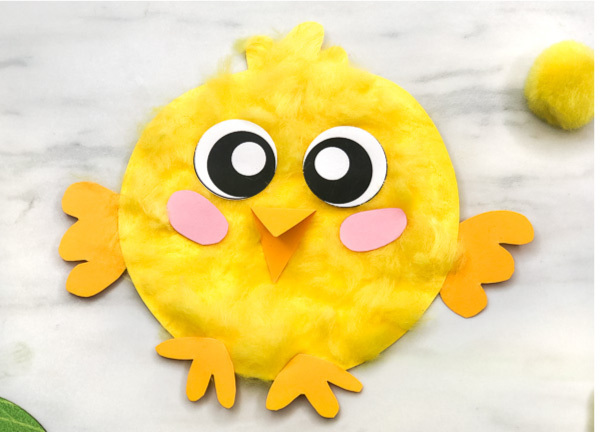 The first time I made one I put a ton on the yellow fluff, but then the outer layer of “fur” wasn’t stuck to the chick and it was shedding like crazy. Moral of the story, just be sure to only do a very light layer of the pom pom fur on it. I only used a little over 1 medium pom pom for each chick. If you’d like to use the template with your kids, don’t forget to enter your email in the form at the end of the post.